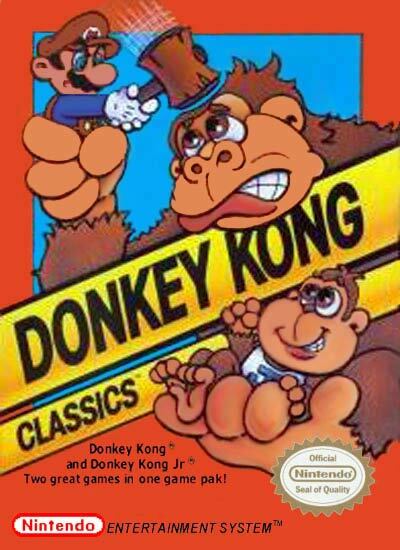 Donkey Kong Classics features both the original Donkey Kong and Donkey Kong Jr. on a single cartridge. In Donkey Kong, you need to guide Mario safely up the scaffolding to rescue his girlfriend, Pauline. In Donkey Kong Jr., the roles are reversed; you control Jr. who needs to rescue his father, who has been captured by Mario.